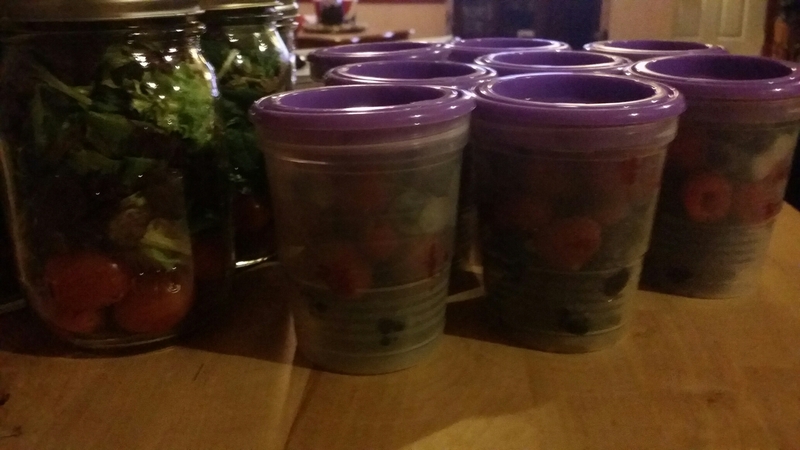 Easiest on the go lunch prep ever: salads in jars and berries in cups! 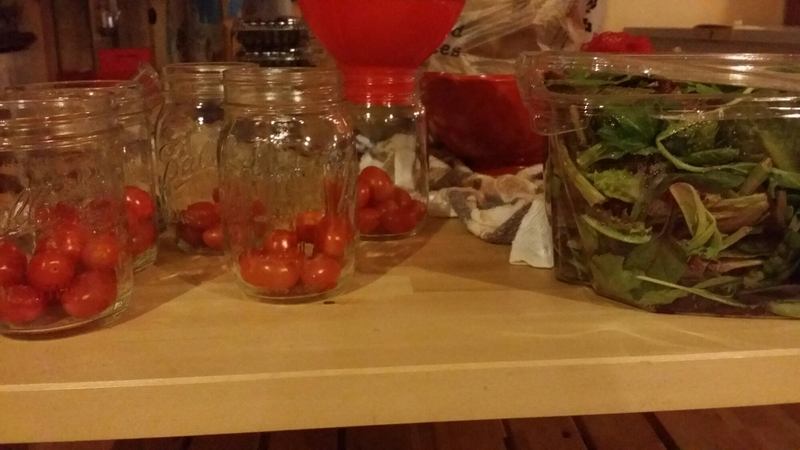 Put the bigger items like onions, radishes, cucumbers, tomatoes, etc. in the jar first and then add the greens (that way they don’t get soggy). It’s the perfect size for a lunch salad! Berries in cups make perfectly portioned snacks and smoothie makings, too.